When I was at Claire's Corner Copia last weekend, my friends and I noted that Blue Man Group is coming to Shubert Theater starting tonight. Hooray! "BLUE MAN GROUP is best known for their wildly popular theatrical shows and concerts which combine music, comedy and multimedia theatrics to produce a totally unique form of entertainment...With no spoken language, BLUE MAN GROUP is perfect for people of all ages, languages, and cultures...guaranteed to be an outing you will never forget!" 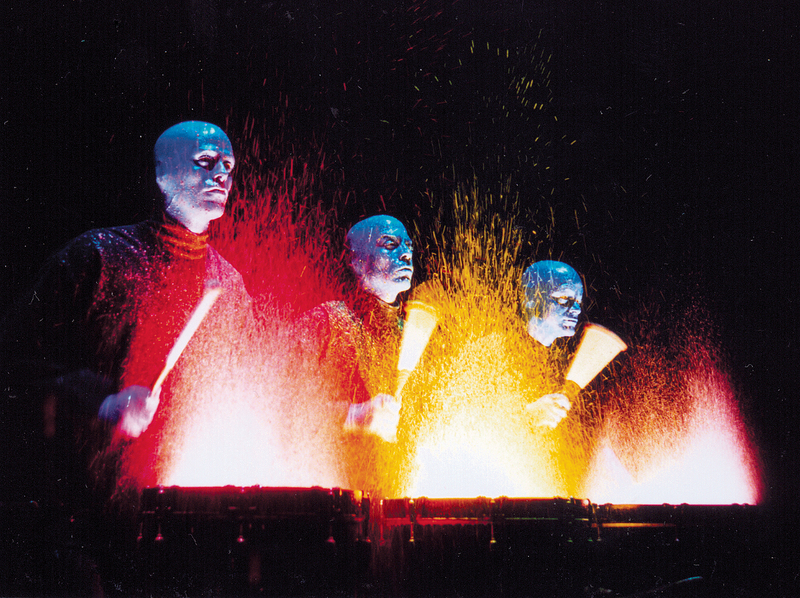 Now I saw Blue Man Group ages ago at a little theater down by Astor Place in NYC. It wasn't simply a show -- it was an experience!! If I may offer one tip: splurge for some of the better tickets if you want to interact with the Group. They will certainly want to interact with you! There are 1-2 performances per day, and tickets range from $15-125. You can buy tickets online, stop by Shubert Box Office or call Ticketmaster at (800) 745-3000. Grab your best friend, your little cousin and your grandparents because this is an all ages, family-friendly show and will not disappoint!